With more than 1500 improvements since the first beta release of the 1.5 series, the KOffice developers invite the user community for the final round of testing of KOffice 1.5 before the first release candidate. Read the full announcement, the changelog, download the release, and give it some real world testing for us! In this release, KChart received a new charting engine, donated by Klarälvdalens Datakonsult AB and an initial implementation of the charting OASIS OpenDocument file format. We managed to improve Krita's performance in loading large images, rendering complex images, creating gradients and showing filter previews. There are also a lot of bug fixes. Dag Andersen has reworked the KPlato calculation engine and improved the user interface; and the documentation team has written a complete KPlato manual. And that's just the highlights: across the board, we have improved OpenDocument support in KWord, KPresenter, KSpread and Karbon14. All applications have also received user interface polish. Why are there no kliks available? Congratulations to the second beta. What you have added and fixed since the first one is really impressive. Krita starts to shake up the graphic tools market, and I hope Karbon will be in the same league very soon. I very much enjoyed being able to test the klik packages made from the first beta after it was out. It looks to me, that all the initial klik problems (some koffice programs didnt work for some distros) were shaken out -- the kliks now work very well even on some more obscure distros (yes, you need kdelibs3 and a few other base utilities installed prior to run the kliks) as can be seen from visiting the comments section and the wiki on the klik website [ http://klik.atekon.de/wiki/index.php/KOffice-1.5.0_DistroTable ]. So it seems all the klik teething pains are gone now... Where we initially had problems and crashes due to klik, now that the klik recipe for KOffice is stable most crashes and problems are more likely to be indicative a KOffice bug. And this is A Good Thing (TM) for the development process. It makes it very easy for a non-programmer like me (and a person that just doesnt have enough time for compile and build marathons) to donate at least *some* time to test and report bugs to bugzilla. However, the base packages ("ingredients" which go into the klik bundle) haven't been updated at all since 6 weeks. If I klik krita today, I still get Krita bugs from 6 weeks ago. This is not good. Why is this? Was the KOffice team not too much pleased with the results? I, as a frequent klik user, would very much appreciate if you would not only supply kliks for the beta 2, but also more regular builds (even nightlies) in the future. I think it would benefit the KOffice development too. Re: Why are there no kliks available? It's simple, and has nothing to do with the KOffice developers: there are no kliks because the person preparing the Debian packages was too busy in this timeframe. It's all a matter of resources. We would like to have nightly kliks, but we don't have the resources to prepare Debian sid .debs nightly. If someone could help us with that, we'd shower that person with gratitude. We love quick user feedback on new features, new bugs and regressions! What kind of resources are needed for a nightly build? Is it just machine power? I'm kind of busy myself but am willing to look into how much time it would take and maybe contribute based on how much time I have. Machine power and a little knowledge of how debian packages are built. more and more often), sometimes not and I still have to resort to the GIMP. 1) When you resize an image (not scale) you cannot center the image. is transparency at all or what exactly you have selected. Then you should really try this beta. It works very well here already and is _much_ more stable. Great work. "you can zoom up to 1600%"
Yes. But he asked to increase the maximum to 6400% instead of 3200% (which he says he has). center an image in the resize image dialog. 3) Perhaps this is in 1.5 too (great if it is). Stability is already sufficient here for my basic needs. > I'm just that close to do a dpkg --purge on GIMP. Why do people always want to purge non-default-toolkit-apps? Gimp is not the best of the best of the best but at least it works. 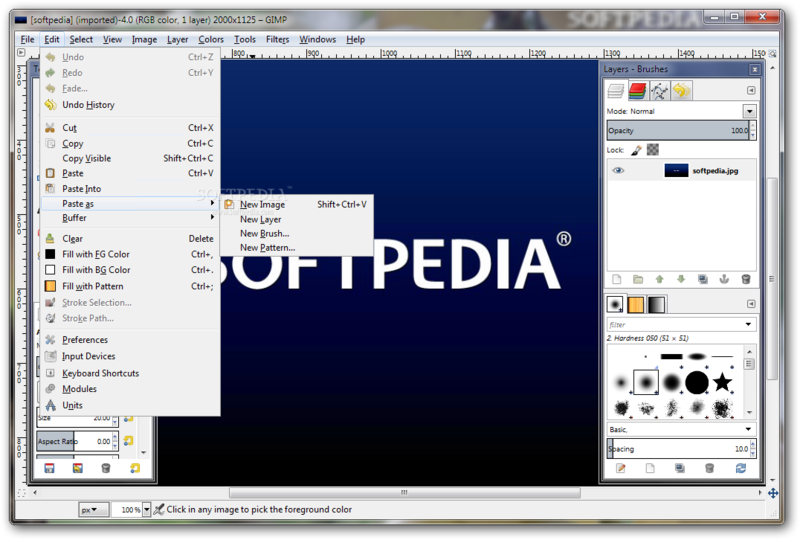 Even copy&paste between gimp and KDE applications works. Gimps strength are it's features not the fact that it happens to use GTK+. And yes, Gimp (and all other non-kde-applications) run very nice with KDE. This is not against Krita. I only aske myself why recently the look of applications has became so important that (Gnome *and* KDE) people are proud if they can purge full featured programs. It's a strange habbit in a free software world. "Why do people always want to purge non-default-toolkit-apps?" Maybe he doesn't like the Gimp, and if he had a replacement (possibly Krita 1.5) he wouldn't have a need to keep the Gimp around. With Krita 1.5 I may also be able to remove the Gimp from my system (I can't stand the user interface, it has to be one of the worst ever). Don't be silly, Krita at least needs one or two years to reach the feature-completeness and maturity of Gimp. And I'm sure that Krita *never* will contain *each end every* feature of gimp - do you really want to reinstall gimp if you nedd one of those features? Is it still using many windows? Then it isn't enough for me. Since that's the only major problem, I've with the GIMP. 1. Kwin has better support for multi-window applications like Gimp. 2. In Gimp 2.3 everythin is dockable. So you only need one gimp window and one window per image. No Unix-Desktop should have problems with that. stupid multiple windows. If others like it that's ok - I don't. I've tried to use KWord many many times, but until it's very rudimentary table support improves to be more on par with open office or ms office it's going to continue to be unusable for me. I'd like to see the handling of the embedded KOffice objects improved. For example, when I've got a KWord document with an embedded Kivo flowchart or KCalc spreadsheet which also contains some text. When I try to search for that text from the main document, it isn't found because it's not in the main document (the KWord text file). To find these, I would have to enter every frame and search there again (and Kivio itself can't even search). Unpleasant for working, and could be hindering for scripts. Just checked with the first beta. Also, calling the programs from the KO-shell or opening an embedded frame really clutters the main window with the programs and their toolbars. The KO-shell bar is an quarter of the screen size, the toolbars (most of them empty or just badly arranged) take half of the screen and the actual document is the size of an thumbnail (still, I can enter text boxes ;)). I could post screenshots if this is not on your radar yet. The first problem is not going to be solved before 2.0. It really needs a bit of redesign. Currenly, my house is filled with KOffice hackers trying to arrive at a common solution for graphical objects. Perhaps I'll organize another one for finding a solution for the text problem. Because you're right, of course, we really want to do that. The second problem I don't see. The KOShell bar is about 70 pixels: you cannot be working on a screen with 280 pixels horizontal, right? And if you don't like the way koshell works, start the applications separately. A bigger problem is trying to fix the flicker when switching apps, but David Faure is working on that for KDE4. Well my screen is a bit bigger but the German translation for Kivio is quite long (Flussdiagramme & Diagrammbearbeitung), though again, the font-size set in the Klik-file is 1 or 2 points smaller than usual. Perhaps the ko-bar could be minimized like the view-bars on the left side of a typical Konqueror window. The handling of text into a single size also seems to depend on the size of the frame. As can be seen from the screenshots, the bars, views tabs, etc. are currently rather hard to tame when embedded. I don't know if my config just has gone wild, but I'm sure this can be improved. (First one is KWord from the shell, second is in an embedded Kivio frame and third is an embedded Krita frame opened from the KWord document). Ugh, that looks just broken. In the last two images, the ko-shell frame ends up between the a toolbar and the rest of the app. It should at least stay to the far left, and not mix itself up with the application. Who's the brain behind the translation of application names? Kivio is Kivio and not "some program to create flow charts and diagrams"! Nobody ever tried to translate Powerpoint into the different languages MS Office is available in. > Who's the brain behind the translation of application names? You can't only blame the translators. It is also the fault of the developers for tagging those strings as translatable. I do not blame the translators. I criticise the fact that application names are translated. Krita, Kivio, Kword, ... are *brand* names, not some random strings which have to be translated. If you take a closer look, it's not application names at all. KO-shell uses descriptions, in the untranslated version it says Image Object, Flowchart & Diagram, Text Documents,... There are no brand names in KO-shell, only descriptive strings which have to be translated. Right, and I remember that being in response to user demand... The best action would be for people who want to use koshell to set it to icon-only (right-click on the bar). > it to icon-only (right-click on the bar). Kontact's sidebar works because there is one word of text below each icon. Try to hide the text and it becomes much more complex to choose the right icon. So please don't disable text below icons! Text should be on by default, but only one word per icon. If you call them "Image, Text, Spreadsheet,...", or "Krita, Kword, Kcalc,.." is your decision. I would opt for the latter one because it's 100% exact (and I dont like Koffice but I like the individual Koffice applications :-P ). I was thinking what users can do right now. Maybe you could add a bug report for koshell to use the name of the application instead of the explanation, Sven could think about it.
" but the German translation for Kivio is quite long (Flussdiagramme & Diagrammbearbeitung)". Do you really want that people only know that they are using some program for "Text Documents" or "Flowcharts & Diagrams"? It's bad enough that Suse sometimes puts only the category name instead of the application name into the K-Menu (when one category contains only one application). But at least let's try to make the Koffice applications known. "Image Object, Flowchart & Diagram, Text Documents" are typical strings for tooltips! This is an interesting point: those in positions such as yours often forget that not everybody knows the names of these applications. There are plenty of people who don't care, and don't want to know. They use the computer as a tool, and think in terms of tasks they want to get done, such as burning data to CD, writing a letter, making a diagram and so on. Some names are sufficiently self-descriptive for those users (KWord, KSpread), but others aren't (k3b, Kivio, Krita). For these people, having application descriptions is an absolute necessity - the machine becomes practically unusable without them. Whether this lack of association between names and functions is bad or not is secondary. It exists, and needs to be dealt with. I like Boudewijn's suggestion that the text be configurable (between name and function). The K-menu already is, and can even have both. That's very nice. My suggestion would be to default to showing the function (as it now is) and adding the name as a tooltip; if application names are show, their function should be the tooltip. For no text, the tooltip could contain some combination of both ("name - function" or somesuch). - English translated into German generally gets longer. - I doubt the translators had any information about where/how the translations are used (ie: whether they should be brief or more descriptive). In this case, "Diagramme" would probably be sufficient, even though it's not strictly identical. I'll need to do some more investigation to understand better what is wrong. It would be great to be able to embed a video in a KPresenter slideshow. Will we see that any time soon? We started yesterday working on a library that would give that capability for KPresenters, Kivio, Karbon and maybe even KWord and Krita. But it's not going to be soon: it's the stuff KOffice 2.0 will be made of. where do you want example files? Where's the best place to post complex files that work in oo.o and fail in koffice? Bugs.kde.org? Koffice mailing list? Here? Or are they not all that useful? Hell, I'll post it here anyway. Names and sales numbers have been anonymized. Note that the layout is not negotiable-- it is required to exactly match the company's paper form. This file has not been checked in beta2--I don't have the time to compile it myself, so I'll wait until debian unstable has it. In beta1 it was such a complete disaster that I didn't know where to start with bug reporting--everywhere I looked there were more and more things that didn't work right, so I gave up. Here's hoping beta2 will be an improvement! Re: where do you want example files? The koffice developers mailing list is really the right place, that and/or bugzilla.All developers read the mailing list and bugzilla, but not all developers read the dot. bugs.kde.org would be the best place since it helps us keep things more organised. Your example spreadsheet is largely messed up in Beta 2 as well. We desperately need more real-world examples of spreadsheets like this, so if you have any other sheets which you could anonymise and make available that would be very helpful. to set the level to sharpen. Can't do anything about that for 1.5, I'm afraid. We're in UI and string freeze and I just cannot add a whole new dialog. It'll have to wait for the next release. You could use the custom convolution filter in the meantime (although that doesn't offer a possibility to save frequently used kernels). We're also working on an extension plugin pack for Krita that should be released shortly and that already contains quite good blur and unsharp mask filters. kde.org is still showing 1.5 beta 1 released. Anyone here that can change this?